Our new Speaker Series has seen four esteemed guests share their knowledge, experience and wisdom in the Wayra Living Room! We wanted to create the same atmosphere and look of a classic ‘English country living room’, where two speakers could converse as if next to a roaring fireplace sharing stories of times passed, with a whisky and a cigar. Although those last two accessories were replaced with vintage teacups and saucers (which were unfortunately empty, as Emma Sinclair noted), our Ampitheatre space was transformed and warmly welcomed guests over the two evening events. 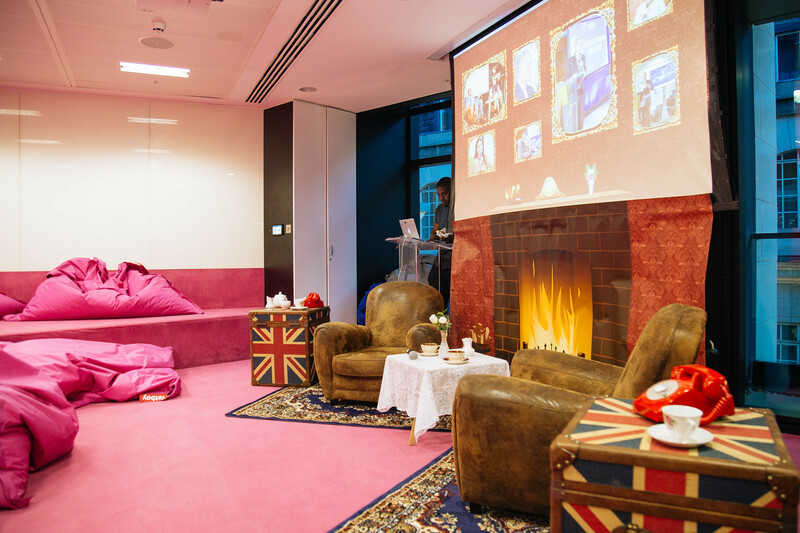 To see the Wayra Living Room in all its glory, check out the photos. To get the sparks flying, on Sep 5 Alain Falys of Yoyo Wallet and Harry Briggs of BGF Ventures discussed ‘Raising Investment in times of Brexit: Practical advice on what Entrepreneurs can do now’. In a wide-ranging conversation that touched on the German market, securing investment from potential American investors and wider advice to start-ups, it was a brilliant start to the series. The video can be found here. Then, on 19 Sept Emma Sinclair MBE (the youngest person to IPO a company in the UK, and the founder of EnterpriseJungle) and Tessa Cook (co-founder and CEO of Olio) got to grips with maximising your tech for a positive impact on society, and the importance of maintaining good mental health throughout a career. The video can be found here. Through her work with Unicef, Emma is also currently raising funds to build innovation labs in refugee camps. To #HelpEmmaHelpUnicef and support this fantastic cause, a crowd funding page has been set up here, ending on Oct 10. To understand the cause and Emma’s work a bit more, please watch this video!